In 1968 the Grell family moved from the city to a small farm near Council Bluffs, IA. The barn, built decades before, was used to store equipment and a few cattle. 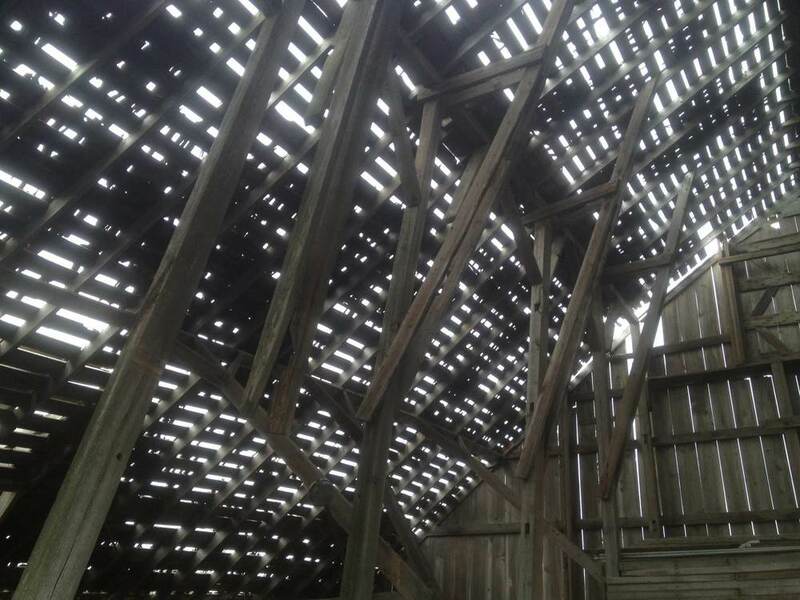 A section of the barn had yoke-like boards that were used to hold the dairy cattle for milking. In front of these were big wooden boxes that the cows could eat from while being milked. But the barn was mainly a treasure trove filled with antique parts and a playground for the city-turned-farm kids who grew up there. Over the years the barn slowly gave way to gravity’s pull and was deemed unstable. We reclaimed the structure in 2014. Special thanks to the Grell family for sharing their memories.